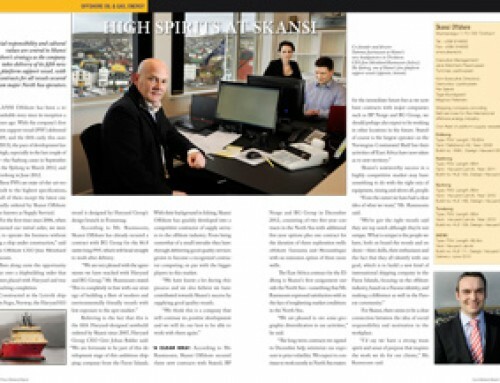 The International Review of Faroe Islands Industry and Trade. 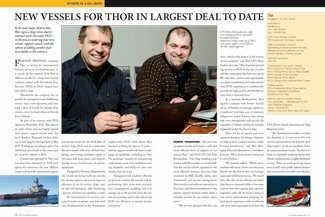 In its most major deal to date, Thor signs a long-term charter contract with Norway’s PGS — in the process ordering four new seismic support vessels with the option of adding another four new builds to the contract. 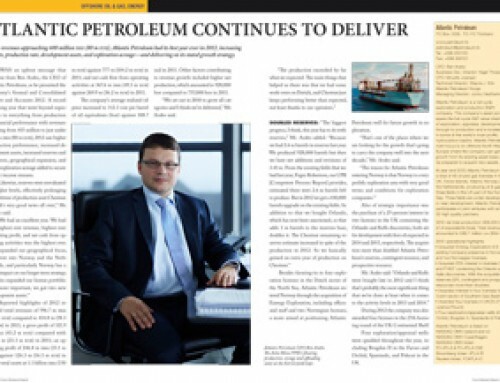 Faroese shipping company Thor is seeing its international business grow at accelerating pace as it speeds up the renewal of its fleet of offshore vessels for a long-term charter contract signed with Petroleum Geo-Services (PGS) in Thor’s largest business deal to date. Meanwhile the company has expanded its management and fulfillment service and is now operating and manning a fleet of vessels for foreign shipowners, out of its head offices at Hósvík, Faroe Islands. As part of its contract with PGS, signed in November 2012, Thor placed an order of four new and highly specialized seismic support vessels with Turkey’s Besiktas Shipyard for first delivery in mid August 2014 and last in May 2015. If things go according to plan, four additional new vessels of the same type are set to be ordered in 2014. Owned and operated by Thor and ten-year time chartered to PGS with option for extension, the new offshore vessels will provide operational support around the world for the PGS fleet of seismic ships, PGS said in a statement. The new vessels will cover offshore bunkering, crew change assistance, supply of provision and spare parts, and support during in-sea maintenance of seismic equipment. Designed by Norway’s Skipsteknisk, the vessels are being built specifically for seismic support services to improve efficiency at sea for seismic ships, save on fuel and emissions, offer bunkering capacity, and have ice capability as well. 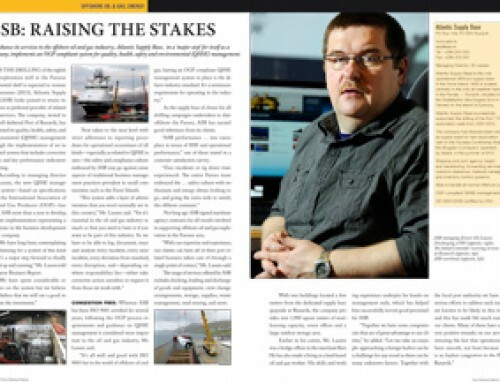 An international oil services company focused on seismic and data analysis, headquartered in the Norwegian capital Oslo, PGS — with whom Thor has been working for almost 15 years — said the support vessels will have “a wide range of capabilities, including ice class 1A, passenger capacity for transporting a full seismic crew, extra work boat, towing capability and ability to carry and transfer fuel oil at sea. In a separate development, Thor signed a contract with Svitzer Scandinavia, of Sweden, to manage regulatory compliance and take care of statutory obligations under Faroese law, alongside crew management and payroll, for a number of Svitzer workboats recently registered under the Faroese flag. 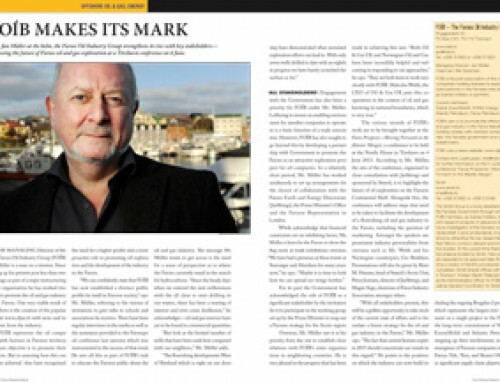 “Here we act as agents and management partners for foreign shipowners who wish to conduct business under Faroese jurisdiction,” said Thor Managing Director/Operations, Gunnbjørn Joensen. 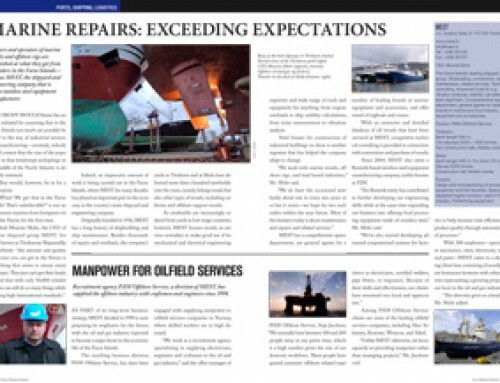 “We’re both pleased and proud to serve Svitzer.” Mr. Joensen added: “While we’ve worked with many clients over the years, Svitzer are the first to hire our management and fulfillment service. We decided to offer this service after we concluded that there is a demand while at the same time we have the capacity and expertise required — after all, we know a thing or two about international shipping, we have good experience with workboats, and we’re well acquainted with how the FAS [Faroe Islands International Ship Register] works.